in the new update the hands have been replaced with smaller hands based around the oculace touch controllers, can we get a setting for vive user to switch to the old hands. 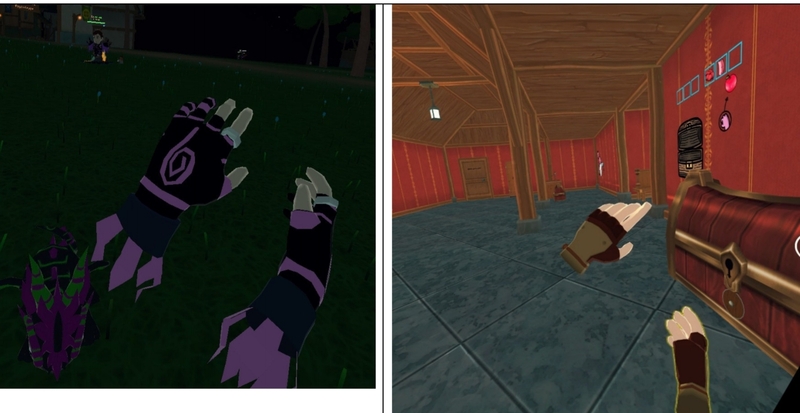 my reasons for asking this is the new hands are small and don’t fit correctly were as the old ones fit really well and matched up better to size and position on the hand (and also didn’t open the menu on every movement) in general for the vive the hand change was fixing a problem that was not there due to the vive not being able to do the gestures any way. What seems to be happening is a scale issue from what I noticed. It seems on either controller that the hands look small on your side, but fine on the person viewing them. Or it could be the other way around. I’d have to try it again in the next beta. That was one of the things that I meant to make a post about but got lost in the mix of other things. I wish I had been streaming so I could go back and find it. I pointed it out to Rickness and Potato. But have a memory like a leaky siv. This is interesting. For some reason a lot of ppl have a big problem with the small hands. I don’t btw but just want to notify the devs that I hear at-least half ppl complain about it. The controllers don’t make your actual hands bigger lol (unless you mean the alignment of the hands vs where you hold the controller). The hands are a little smaller than they should be, but they definitely shouldn’t be as big as they are in regular orbus. So it’s just specifically the hands that are bothering people? Weapons are fine? I mean I guess I can add a setting to allow you to make them bigger but it’s not really going to affect anything other than how big they look to you personally. I also found the size was way smaller than previously. Currently hands feel too big but in reborn they feel too small. A hand size slider would be nice and should fix this issue except that with musketeer i remember someone saying it felt like a stretch to put the orbs in the barrel of the weapon. I don’t know if this was because of having small hands or that the weapon is just longer now. You can totally make the hand model fingers move on vive using grips and trigger finger.